If you’re following a Paleo diet, it can be a challenge to have the right food with you all the time. And if you travel a lot, it can sometimes seem nigh on impossible. 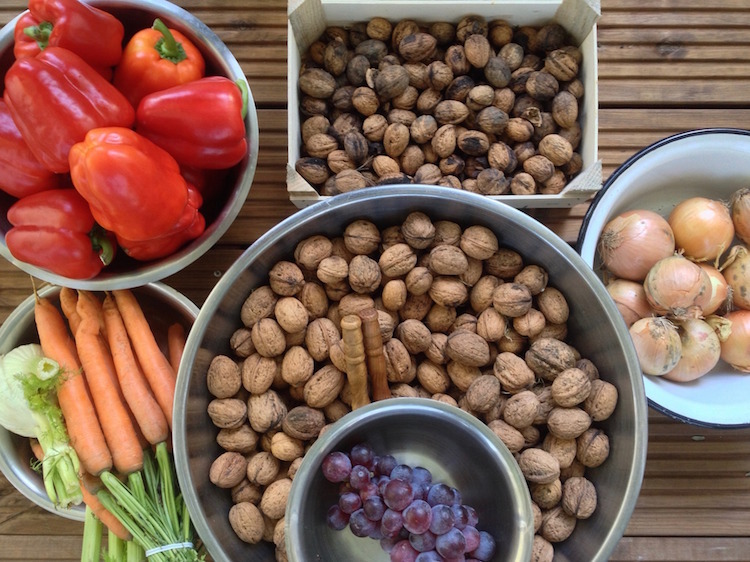 Eating the Paleo way means that you eat food in its natural state. It’s also known as The Caveman Diet. And it’s believed by an increasingly large number of people that many of the health issues in modern life are caused by ingredients contained within the food we eat. From obesity to diabetes, auto-immune diseases to food intolerances, it might just be that processed food has a lot to answer for. But surely the fact that food is packaged into a ‘bar’ means that it’s processed? Well, the whole idea behind such bars is that they only contain natural ingredients. And by that, it means that in addition to being gluten free and dairy free, they also have a far higher nutritional content than other food bars on the market. Of course, you can make your own – that way you truly know that they don’t contain any ‘nasties’. Here’s a great article and recipe for making your own, simple, 3 ingredient Paleo bar. But let’s be realistic here. With our crazy 21st century lives, with the best intentions in the world you probably don’t have the time to be baking food-on-the-go bars every week. What with work, family, and all the other commitments you have, it should come as no surprise that the mass-produced Paleo protein bar is becoming more mainstream. Sure, you shouldn’t be eating them all the time, but for a quick and healthy fix, then they sure are better than stopping for a take-out. Of course, as with every product, there’s some that are good, some that are awesome, and some that you shouldn’t touch even if you’re desperate for some food. So let’s take a look at the best Paleo bars on the market. Paleo certified, the Thunderbird Bar comes in various flavors, including almond apricot and vanilla, cashew fig and carrot, hemp sunflower and pumpkin seed, and pecan goji and pistachio. They contain around 4g of protein, 29g of carbs, and provide about 150 calories. Oh – and did we say, they’re delicious! The RX Bar is probably the best known of all Paleo bars. They come in a variety of flavors, and each one packs a decent 12g of protein. They are certified no GMO, no soy, no gluten, and no dairy, and there’s a reason why they’re probably most people’s ‘go-to’ choice – because they taste fabulous. They come in 9 different flavors, including the newest one – maple sea salt. Packs are available in a single flavor or a multi pack that contains a variety of different tastes. Endorsed by Dr. Loren Cordain, founder of the Paleolithic movement, The Paleo Diet Bar might be slightly higher in (natural) sugar and calories than many others, but they really do adhere to everything required in a Paleo diet. And they provide a massive 17g of protein in each bar. They’re slightly newer to the market than many of the others, and currently only come in 2 flavors: cranberry almond and cinnamon raisin. Containing only 3 ingredients (almond, honey, and whey protein), these little bars pack an incredible 20g of protein so are great for those looking to build muscle. As long as you’re not sensitive to whey, then these really are one of the best choices out there. They’re non-gmo, soy free, gluten free, and also kosher. The retail price for Rise’s Almond Honey Protein Bar contains around 280 calories per bar. A slightly different take on the protein bar, the Epic All Natural Meat Bar is, as the name suggests, made from beef. Oh, and cherries… And whilst this might sound a little weird, it really works…! This is strict Paleo – and packs a whole lot of protein, antioxidants, omega-3s, vitamins E and B12, with no added sugar. They contain 100% organic grass fed beef, American grown cherries, and walnuts. And the packaging keeps them fresh for a super-long time. Being that they contain meat, these are one of the best bars to keep with you if you’re keeping to a strict Paleo diet. And they really do taste great. Nogii have a wide variety of protein bars, but the Paleo Bar is definitely the best of the bunch. Gluten free, dairy free, and soy free, they are completely compliant with the Paleo diet. Each bar provides around 200 calories per serving. Larabars were among the first Paleo bars to come on the market some years back. And they remain as delicious today as they’ve always been. Containing around 7g of protein and 220 calories per bar, they come in a variety of flavors, including blueberry muffin, peanut butter chocolate chip, cashew cookie, and chocolate chip cookie dough. Each flavor contains only a minimal amount of ingredients, and they also provide you with a good amount of magnesium, making them great for a ‘pick up’. In addition, you can also purchase a variety pack of mini bars (12 smaller sized, 0.78oz).